We're in the heart of Downtown Kansas City. 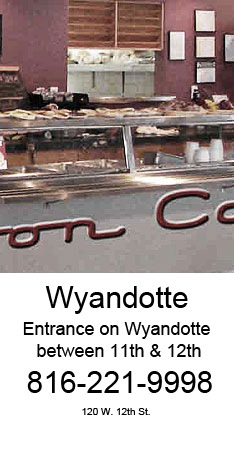 Our original location at 12th and Wyandotte is only a block away from Bartle Hall, Convention Center, Municipal Auditorium, and across the street from the downtown Marriott. Join the Silver Spoon's Frequent Diner Program! You'll get $5.00 for every $100 you spend and weekly email updates about our specials and promotions. © Silver Spoon Cafe. All rights reserved. Site created by KC Web Specialists .